Hardcover, 10.75 x 10.75 in. / 312 pgs / 180 color / 100 bw. 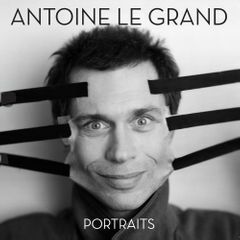 French photographer Antoine Le Grand (born 1956) is widely known for his striking portraits of celebrities--filmmakers, actors, actresses, musicians and architects. 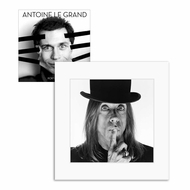 He has photographed countless major stars of stage and screen, from Iggy Pop to David Lynch, from Charlotte Rampling to Al Pacino. Le Grand started out working for dailies such as Libération and Le Monde, and went on to collaborate with magazines such as Elle, Vanity Fair, The New Yorker, W, Liberation, Vogue Homme, GQ, Jalouse, AD and many others. In his portraits, the intrusion of elements like mirrors and smoke and the use of light and shadows dramatize the scene and create compositions that are classic and disconcerting at the same time. This monograph presents a broad selection of more than 170 portraits, shot by Le Grand over a 20-year period. FORMAT: Hbk, 10.75 x 10.75 in. / 312 pgs / 180 color / 100 b&w.